I’m at the Nation Retail Federation event in New York until the 12th of January and so far it’s been a great event. I’ve joined in many discussions with senior level executives on collaboration and supply chain management in the retail space. However, I’ve also participated in many less advanced and business focused discussions such as how do create a successful blog? It’s interesting and even somewhat funny that the same person who manages a supply chain, a CRM program, or company’s collaborative efforts, still wants to know how to create and maintain a successful blog. I thought I’d take a little break from our usual business topics and provide some good ‘ol fashion blogging tips that I have used over the years. Pick a topic/focus for the blog, it doesn’t need to be too narrow such that it only addresses one topic but you also don’t want to make it too broad so that covers everything under the sun either. Take this blog for examples, I cover topics related to social business but for the most part when you come here you know what you’re going to get. Make sure to create content regularly, when I first started my blog I was writing at least once a day to make sure that I had plenty of content for people to read when they came to my site. Many syndication sites also look for a certain amount of created content before they start syndicated your content. Once your readers become accustomed to your blog, they will get used to your writing schedule. Overtime you can decrease the quantity of your writing if you find it a bit daunting. Now for example, I write around 3 times a week instead of 6 or 7. Write as many blogs for OTHER people as you can. I’ve written many many guest posts for other people, why? Two reasons, the first is that it helped me with my search engine rankings since I was able to get more links to my site with the controlled link that I wanted pointing back to me. Second, I wanted to expand my reach and readership, by writing guest blogs for other people I was now able to reach THEIR audiences. What does success look for your blog? If you want to start blogging you should at least understand why you want to blog and what you would define as being successful. For me it’s pretty simple, I enjoy the increases in traffic I get, the interaction with all of the readers, and it’s just fun for me. I don’t monetize the blog in any way but I do think it helps provide a bit of credibility and visibility. Write what you are passionate about, if you don’t then blogging becomes a chore and you will give up. If you blog about something because you love it then it really doesn’t matter if you are making money off of it or if you’re getting hundreds of thousands of readers, you’re doing something you love and that’s all that matters. If you want to become a thought leader or perceived expert in the field then it’s important to continuously educate yourself on topics related to your industry. You should always be aware of hot topics, advances, news and events, case studies, and anything else relevant to your field. Having a “pulse” on the industry is important and will be expected by your readers. Create a blog that is clearly branded and designed to deliver the message you are looking to carry across. I first started with a basic wordpress theme (which was free), but overtime upgraded into something customized specifically for me. Get syndicated through as many places as possible that are relevant to your industry. You will have to do a bit of research on Google to find out who syndicates what type of content but essentially syndication is a simple way for other people to help share and distribute the content you create. Interact with people that interact with you. Common sense I know, but still important to mention. If someone leaves you a comment or starts a discussions, try to join in. Submit your site to ranking engines, this is a great way to help people discover your content. My favorite site for this is AdAge (which you can see in the bottom right hand corner of this blog) which has the Power 150, a collection of the top 150 most influential marketing blogs in the world. Share your own content across any relevant social channels or marketing collateral that you may have, this includes things such as Twitter, Facebook, email signatures, business cards, brochures, and anything else that people will see, don’t be shy. Don’t be scared of drafts, you don’y always have to publish something right away, you can save material and then come back to it later, it’s a great way to avoid writers block when you’re stuck mid-stream. You can also read other blogs in the industry you are in to get ideas and tips for content and/or ideas. Multi-media is your friend, it’s great to mix it up sometimes, you can use videos, images, tables, charts, and anything else to spruce up your content, plain text is usually boring to read. Don’t force it! If you don’t feel like writing something or you don’t have any ideas then don’t write, you want to create GOOD content not just content for the sake of it. Track your site with analytics, something like Google Analytics is free and easy to use, so you really don’t have any excuses here. Introduce yourself, it’s great to have an “about” page (or anything else you want to showcase) that lets your readers know who you are and what you do. People want to know who is creating the content and who they are connecting with, it’s frustrating to read something that appears to be created by an anonymous person. Be yourself. You aren’t writing a college thesis here, let your personality and your ideas come through. It’s your blog and your perspective is what makes it unique, don’t worry about trying to sound like someone else, be you. These are the tips and ideas that came to mind but I’m sure you might have a few others, what else would you recommend? Excellent post and a good resource for all bloggers. I appreciate the choice of giving Selection of the topic a top priority, as I believe that topic or title make everything on a post. Especially this post, which speaks about tips for bloggers, is a excellent selection and I also believe that topic with numbers on it grabs readers attention and push him to click on the topic. Very useful and timely advice. I'll be sure to apply it on my blog as well http://artofselfevolution.blog…/ is my blog. Very useful list of tips Jacob. Thanks for sharing. Making your content easy to read and share is so important in blogging. Also engaging with those who take the time to comment on your posts is important to keeping them coming back to your blog. Not only is content incredibly important, but learning how to envelop the reader into your content is important. Create curiosity through your titles and headlines and make sure if you answer the questions your readers will create in their minds that you have a reason for them to finish reading your post. Hi Brandon, yes, great points. I typically don't discuss the tactical pieces of blogging however I know folks such as Copy blogger and Pro blogger do a fantastic job of covering those topics. Thanks for stopping by and commenting! Thanks, glad you enjoyed them and thanks for commenting! Good tips. We're just starting our corporate blog and these will be good to share with all our contributors. Julie, Where's the link to your new blog? I'd love to take a look at another startup. Thanks for the tips. We will be launching a corporate blog soon, probably Q2, and this makes a great checklist for getting started — and is simple enough to make sense to those who will contribute to the blog. Thanks for the valuable tips. I run my blog very successfully, but I still found good advice here. One thing, though, that I noticed about your website: External links (e.g. Amazon) should always open a new window to keep your website available for the visitor. Some great advice, Jacob. Thanks. Jacob, I am a columnist, editor, author and ghostwriter. Your list is well-written and concise. Thanks for your notes. Nice advice to start out on a blog, I think another good tip is to learn how to write short informative articles quickly and well, it's quite a different skill to writing a book that you will edit and reedit – I'm sure if I could get that right I would have more time for my blog! Great post. It would be ideal for our readership and I would love to post it to our blog. Would you be happy for me to do so? Nice article , thanks for sharing.I got loads of information. Hey,nice post.Well written article. You have given a great tips to crate & maintain the blog.Thanks for sharing this article with us.I like this article.Keep sharing with us. I recently did some guest postings on other sites and I can say that it increased my site’s traffic. It’s good that you pointed out the analytics since this a good tool to know if what your doing is right or wrong. It would be ideal for our readership and I would love to post it to our blog.Thanks for sharing this great post.. Always share your posts on social networks. This will help you increase the traffic of your blog. Always watch out for the current trends so you can easily adjust. using SEO can really help you to maintain your blog and also to have high page rank. I’m also a blogger and this post would really help me. You really gave valuable information here. The pointer that said to submit for search engine is really very important!!!! Continuous content management is important if you want to maintain your page rank. Search engines go for sites with fresh content. Make sure that you regularly update your blog to increase your return traffic from visitors. Continuous content management is important if you want to maintain your page rank. Search engines go for sites with fresh content. Your tips will surely help me keep my blog successful, thank you for the tips. This is really helpful since I am trying to start a blog and need as much info as I can to steer it in right direction…. Nice advice to start out on a blog, I think another good tip is to learn how to write short informative articles quickly and well..
Blogging is a simple yet very powerful tool to attract visitors and create traffic for a certain site. Yes, keeping the content up to date is a surefire way to attract more visitors. But prior to this, it is important to establish a unique image for a blog to attract a target audience and gain more traffic. These are indeed practical, doable, great tips to look back to sometimes when we have dipped ourselves too much in SEO. By having a good comment system, you can facilitate conversation on your blog. hey….that’s so nice and useful content for me man …thank yo!!! Thanks very much,very informative for one such as i looking to establish my own blog.I am a military veteran who until 20 months ago had no reason nor inclination to even correspond via email.Your 18 tips should suffice to get me on the way to at the very least a new hobby-all the best ,RICHARD WILLISCROFT. 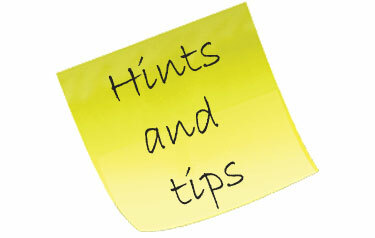 These tips are really important to us.I would like to read your more updates.Keep them coming. people have read it. Any ideas on how to get more followers? We plan to follow all of your advice and will let you know how it works out.This is a very helpful resource. Thank you so much for writing this! Good article – thanks! I’m just starting out my my blog and website so I’ll let you know what works best. Thank you for the useful information. I came across this article while doing research for school SEO experiment/blog, http://seoes.ghost.io . Thank you again.